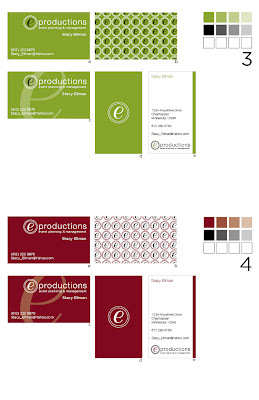 After Stacy, the owner of eProductions, chose a logo, I designed four color pallets that will vividly represent her company. I also designed vibrant business cards that are sure to appeal to the target market. Here are the preliminary designs. 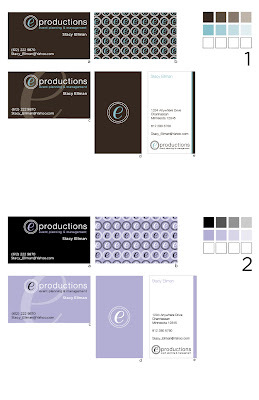 Stacy still has to choose a business card and a color pallet. Which card and color scheme do you like the best? Making this gloomy day brighter!